The Keller Ensemble – How Does Mozart Work? ‘How Does Mozart Work?’ is inspired by a technique of analysis devised by Hans Keller that he called ‘functional analysis’. 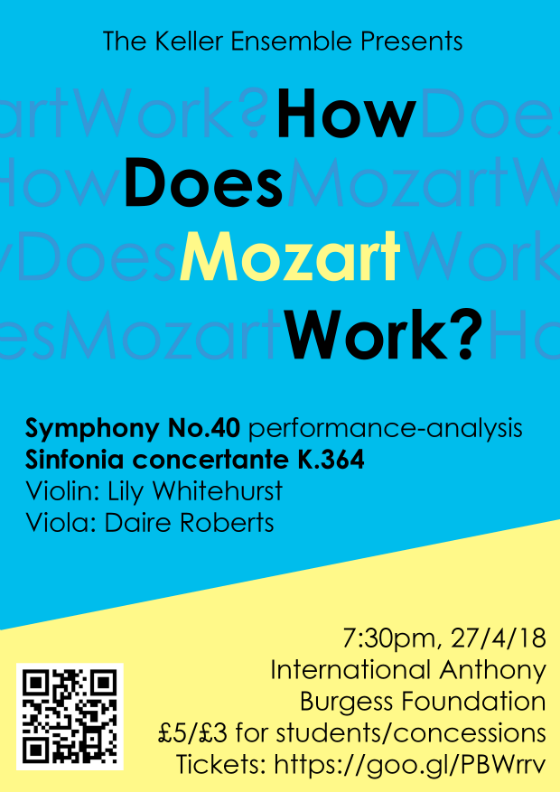 Mozart’s 40th Symphony will be performed in full, but in between movements will be interludes which will make clear the way the piece works. What makes this technique unique is that it is completely wordless; connections within the piece will be made clear entirely through music. Come along if you’re interested in how music works! 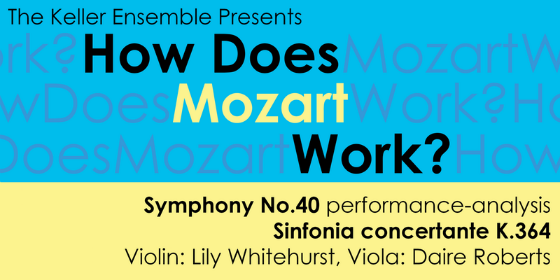 Also included in this concert is Mozart’s Sinfonia Concertante K.364 performed by Lily Whitehurst and Daire Roberts.